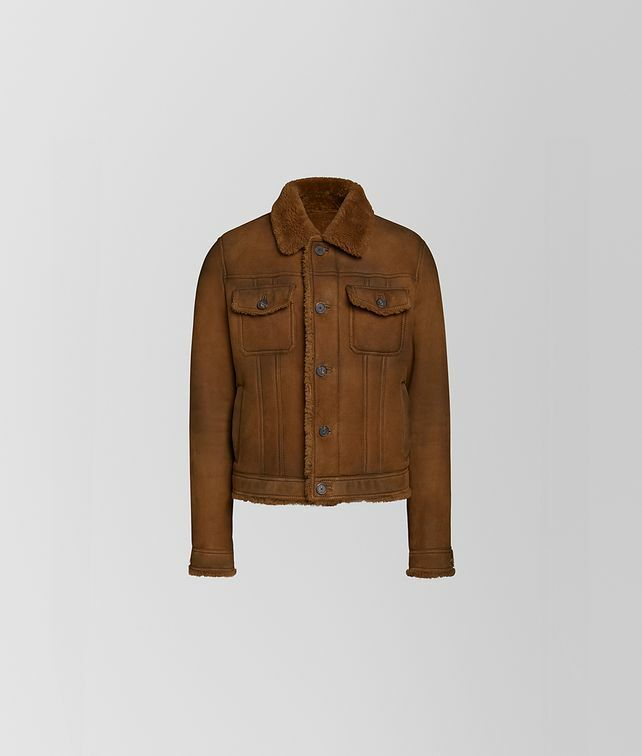 This shearling jacket, introduced in our Cruise 2019 presentation, has a rugged refinement. A stylish way to take on winter’s chill, the jacket is cut in a short silhouette with a patinated exterior for a vintage feel. The style is fitted with two slash pockets, two button pockets and intrecciato detailing on the collar. Button fastener.